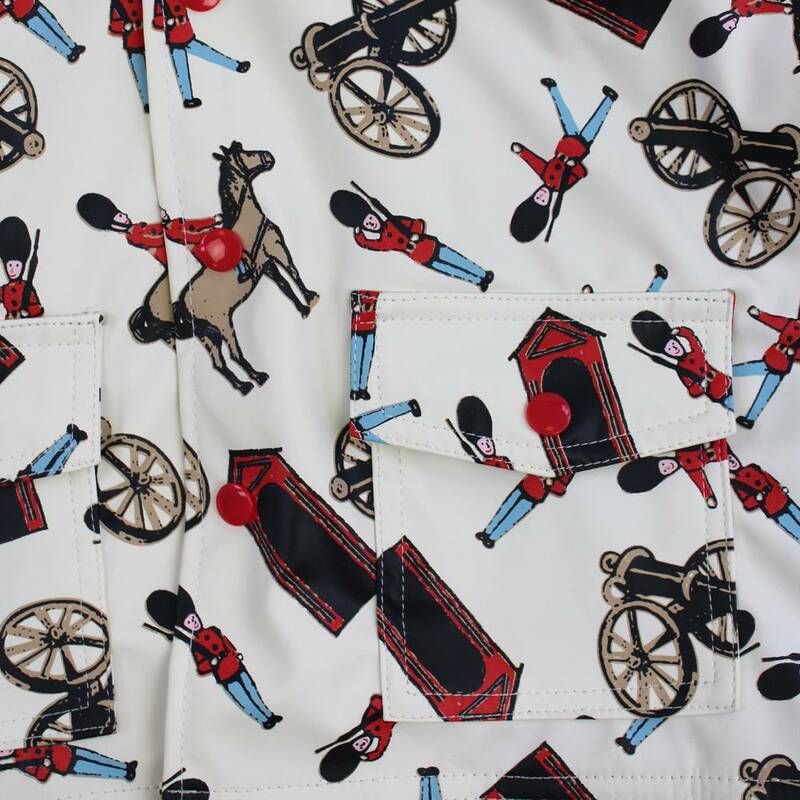 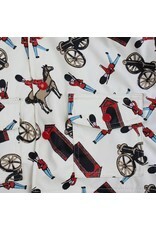 PU raincoat in a vintage horse guard print. 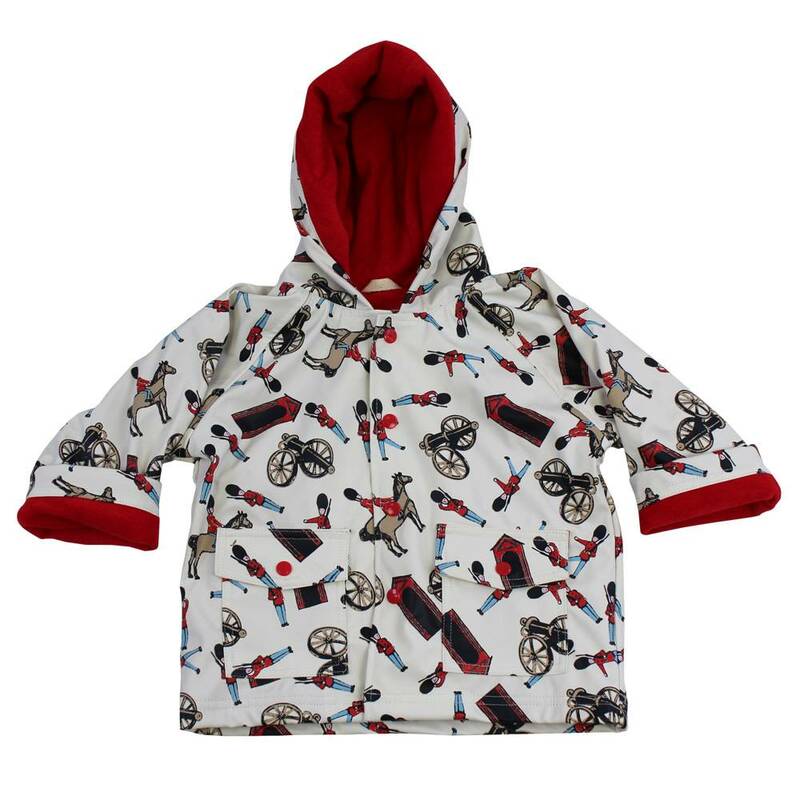 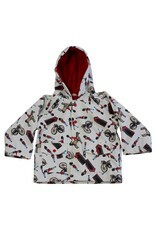 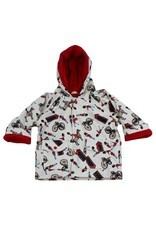 Fully lined in a soft red fleece, and with a hood to stay extra dry. 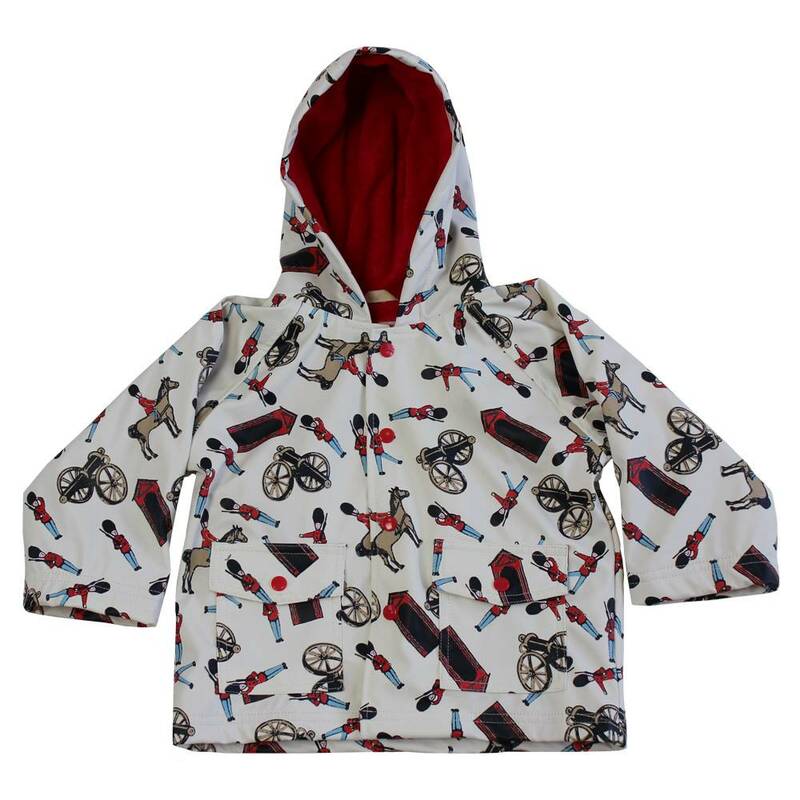 The coat is showerproof but not 100% waterproof.